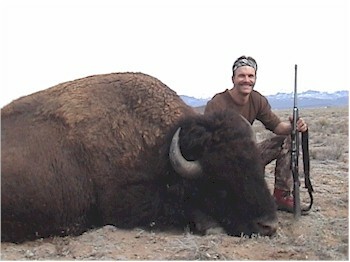 Dennis Zandra of Lonesome Dove Outfitters, Cordorva, Alaska. This bull is being mounted lifesize with a 9 1/2 foot brown bear attacking it. Our hopes are to get this fantastic mount placed in the Anchorage airport.